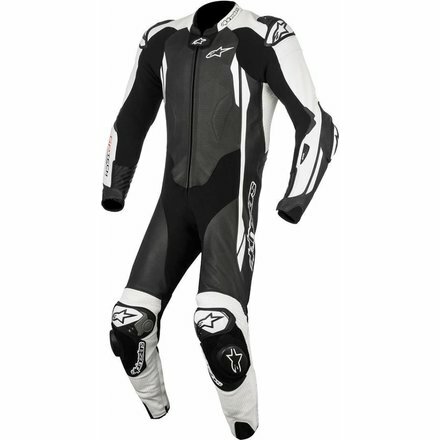 Leading 1 piece suit with preparation for Tech Air racing airbag system. 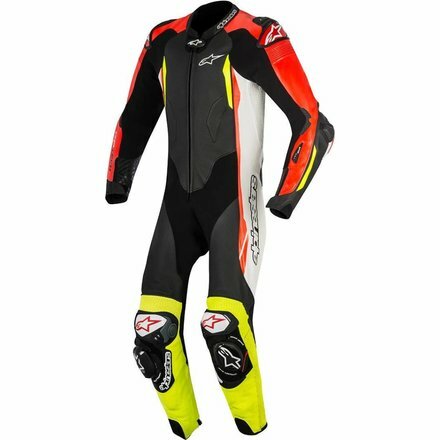 Highly durable, premium kangaroo and bovine leather multi-panel construction for maximum abrasion resistance, with reinforced stitching for optimum tear resistance in the event of an impact and abrasion slide. 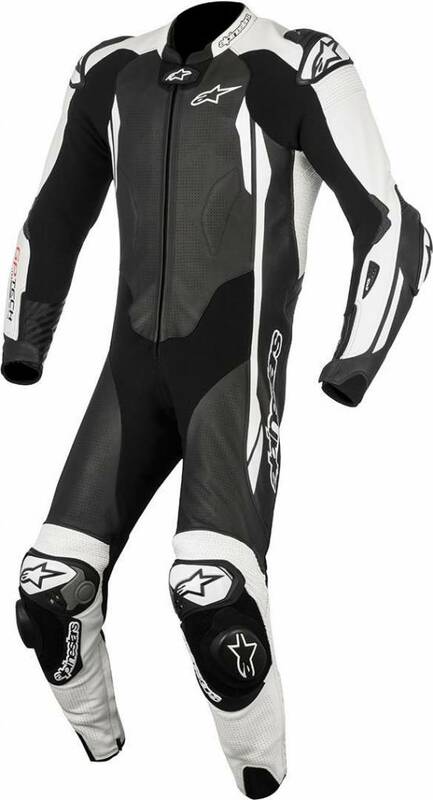 Strategic perforations throughout suit for excellent levels of airflow and comfort. Alpinestars race-derived, CE approved internal elbow, shoulder, knee and tibia protectors. 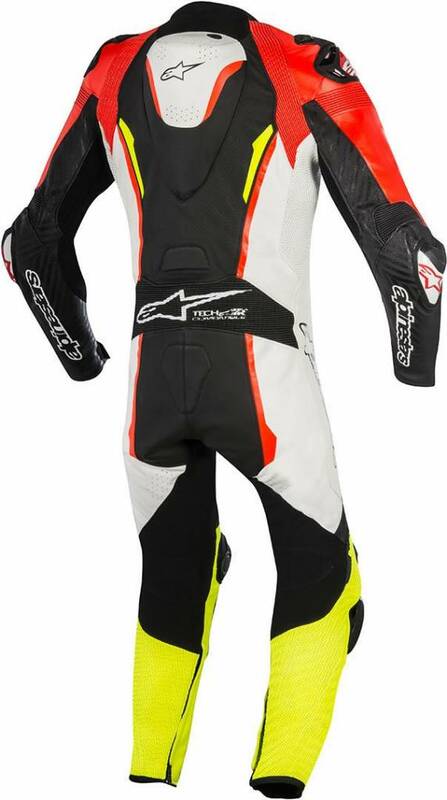 Alpinestars’ new, exclusively developed shoulder GP Dynamic Fiction Shield (GP DFS) protector is anatomically contoured and incorporates a triple- density polymer compound for improved performance in crash slides. The GP DFS protection is ergonomically designed for improved upper body flexibility and features over-injected mesh air inlets for excellent airflow. 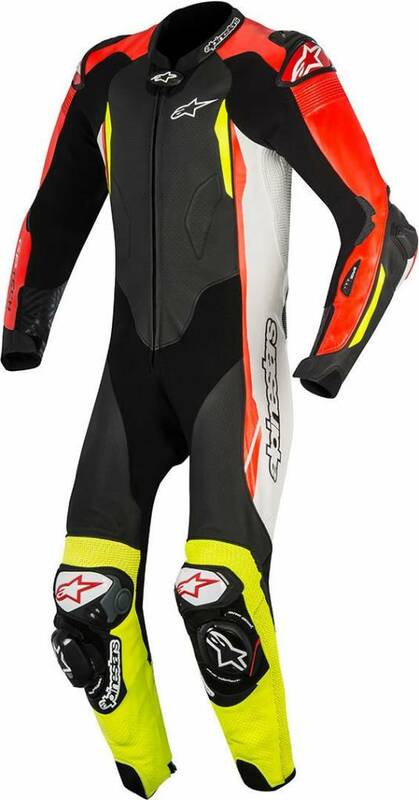 External (DFS) knee sliders offer additional abrasion resistance in a key impact area. 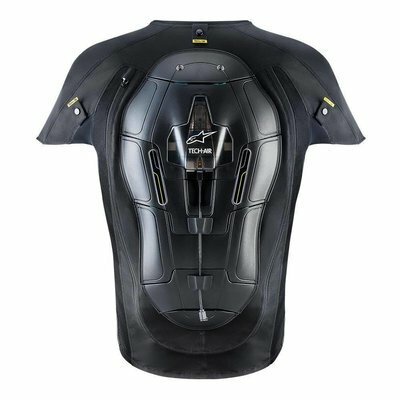 Snap connection system allows integration of CE level 2 certified Nucleon Race Back Protector for the ultimate in protection (for use without Tech-Air™ system). Ergonomically engineered ARSHIELD reinforcements, consisting of aramidic fiber and polyamide, strategically positioned on sleeve and knee. Wrist and ankle cuff edges constructed from stretch fabric for fit and comfort. All leather accordion inserts are perforated for comfort, airflow and abrasion and tear resistance. Extensive aramidic fiber stretch panels are strategically positioned on the underarms, shoulders, crotch and thigh areas. Removable inner stretch mesh liner with multi-panel construction and 3D mesh inserts to improve comfort and ventilation. Liner incorporates strategically positioned padding inserts for comfort and fit. 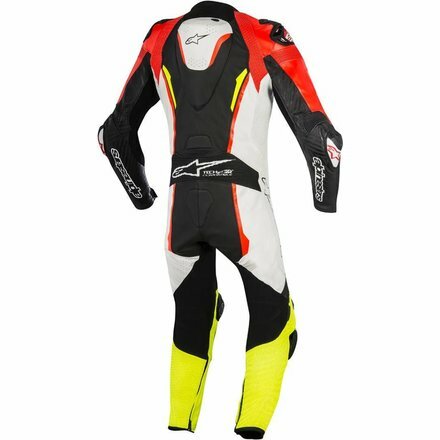 Liner designed to work perfectly in conjunction with main shell for a superior performance racing fit. Waterproof internal wallet pocket for peace-of-mind storage.